Can Brazil win Copa America 2019 ? Copa America is no way far from the kick off. The mega event of the South America starting from June 14 in Brazil. We have brought you few previews about the host. The big football tournament is moving to football crazy nation Brazil when they will be hosting Copa America 2019. The tournament is going to be big for the home fans in their home ground after being lost with humiliation against Germany in FIFA World Cup 2014 when they lost 7-1 in Semi-final. Brazil could not make a huge impact in the FIFA World Cup 2018 too. So Copa America 2019 is going to be very much important for Brazil and its home fans. COPA America 2019 was to be hosted by Chile and Brazil was to host in 2015 but due to organization of 2014 FIFA world Cup and 2016 Summer Olympics, Brazil decide against hosting it and they are now hosting it in 2019. 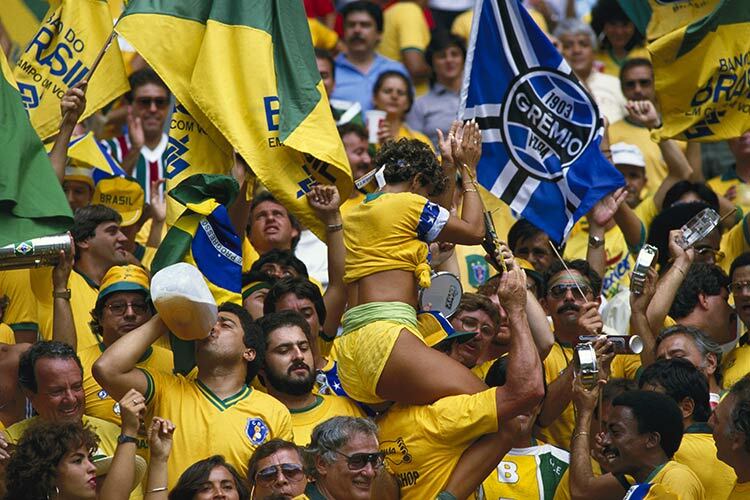 So it may be proved as yet another chance for Brazil to lift the major trophy in the home soil. Without any doubt, Brazil is one of the favorites in the front seat to lift the trophy but it is not going to be a piece of cake for the host nation. Brazil is in the Group A alongside Bolivia, Venezuela and Peru. Brazilian team is well organized with the balance squad that includes the star players like of Neymar, Coutinho, Firmino and Gabriel Jesus. Neymar particularly will be in focus of all attentions, since he had suffered many accusations regarding diving and not being able to make much impact in the World Cup. However, the PSG star is plagued by injury and is out of action for his team. Brazilian team is being well built up by former Brazilian star Tite who took the job of managing the Brazilian squad after former coach Dunga failed to impress in previous tournaments. Brazil fan expect confidence from their manager at all times and Tite has sought to boost morale and encourage of the team when the host nation will be going through much pressure too. Eight players in Tite’s 23-man squad have 5 or less caps, but he argued against the suggestions that he is rewarding senior caps too easily. Brazil hasn’t impressed in the recent Copa America tournaments and it may be the chance for it to come better. Now question is whether the host nation will be ready to face this daunting task. This entry was posted in Copa America Special and tagged Brazil Copa America 2019, Brazil Football, Can Brazil win Copa America 2019 ?. Bookmark the permalink.